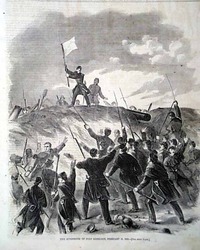 Among the ftpg. 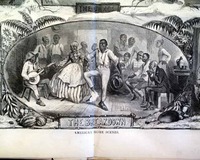 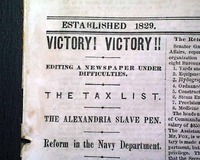 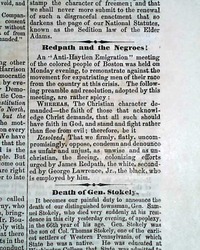 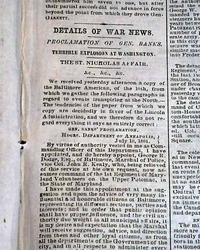 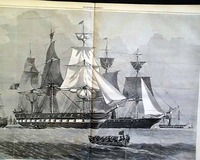 reports are: 'Repudiation Repudiated" "Redpath and the Negroes!" 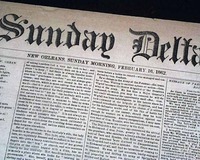 "Sensible at Last" "Death of Gen. Stokely". 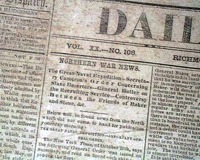 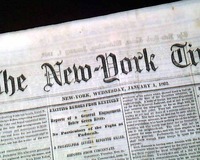 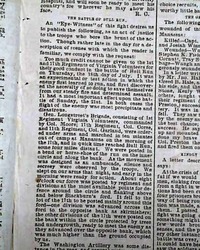 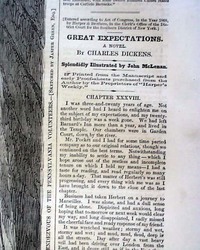 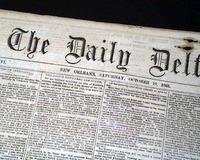 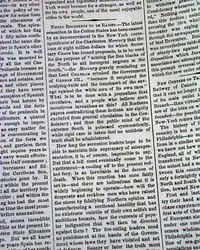 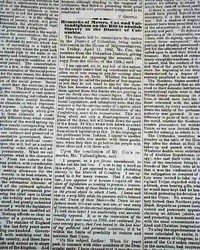 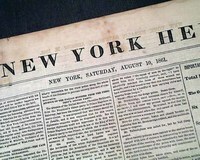 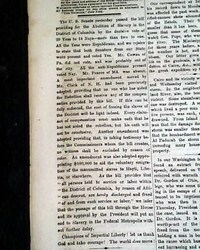 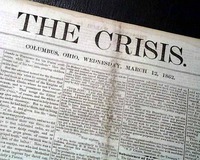 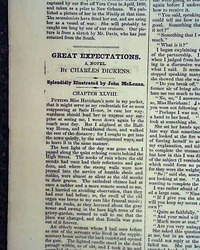 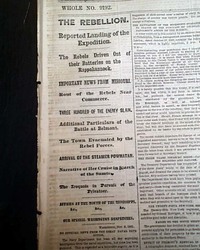 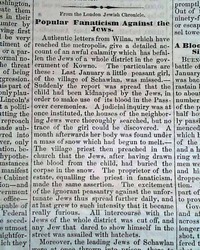 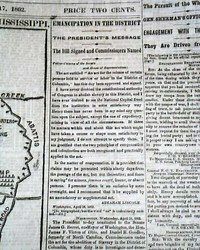 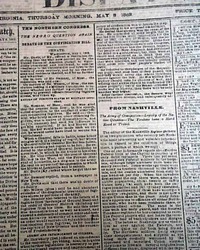 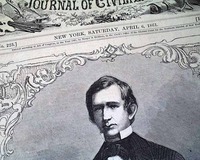 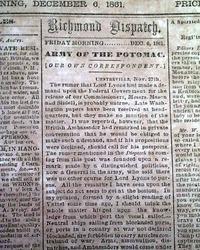 THE NEW YORK TIMES, from New York City, dated January 1, 1862. 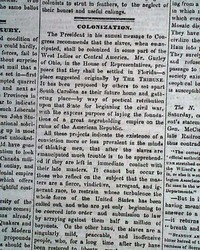 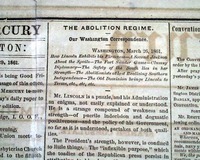 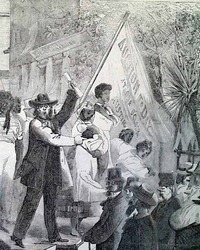 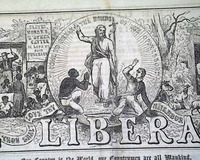 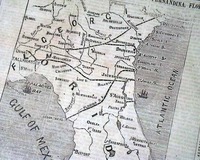 * Emancipation of rebel slaves ? 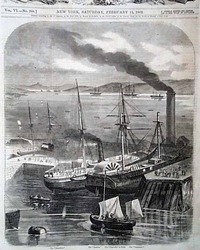 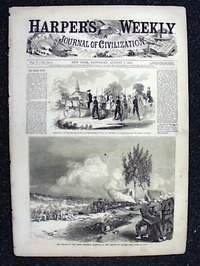 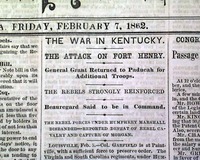 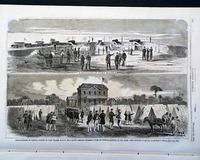 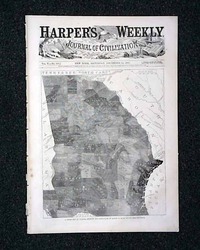 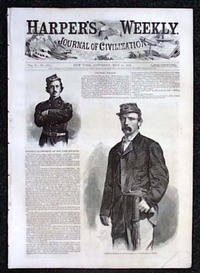 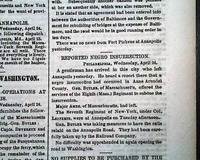 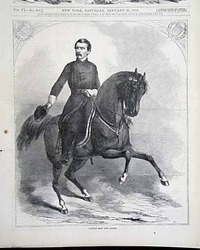 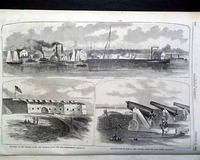 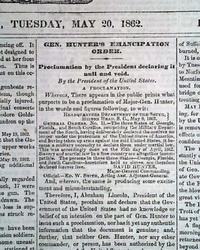 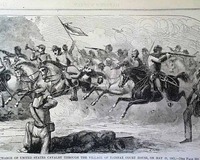 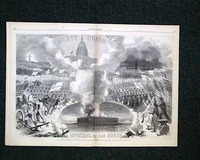 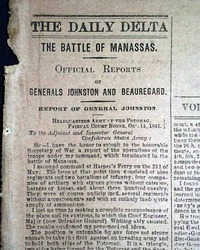 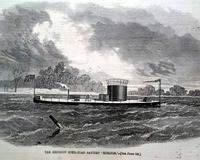 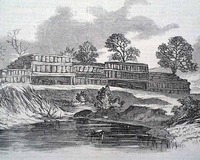 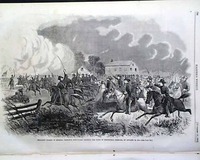 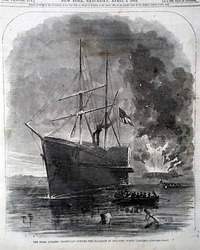 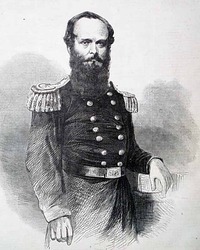 HARPER'S WEEKLY, New York, April 12, 1862 The front page has prints of: "Major-General Buell" "Brigadier-General Shields" and "Bomb-Proof Sandbag Battery at New Bern, North Carolina, Taken by General Burnside's Troops."